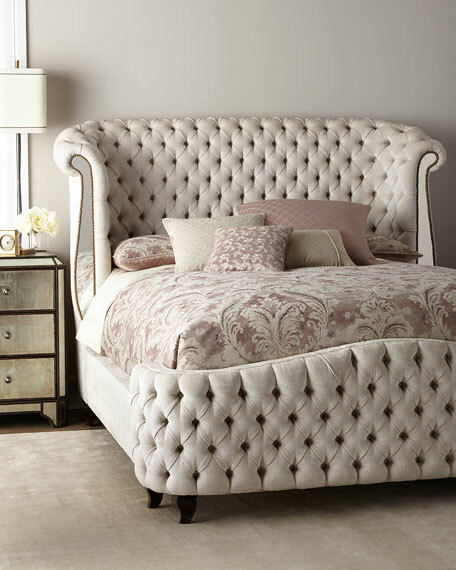 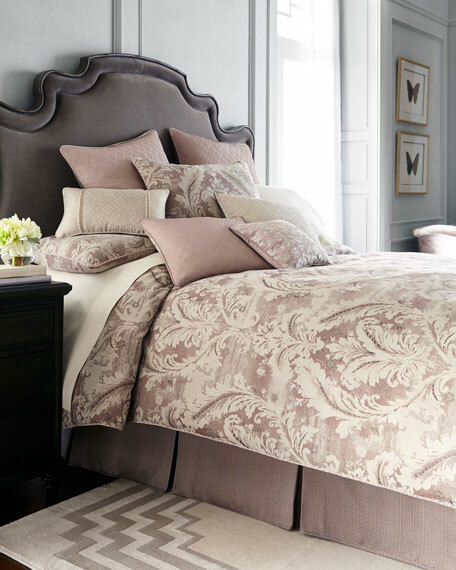 Add elegance and style to your bedroom with the Victoria bedding collection. 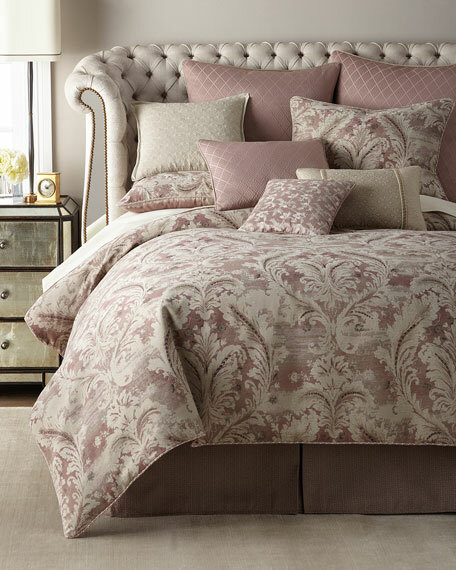 Victoria is a beautiful large scale, woven damask pattern in lovely shades of orchid grounded in warm neutrals. 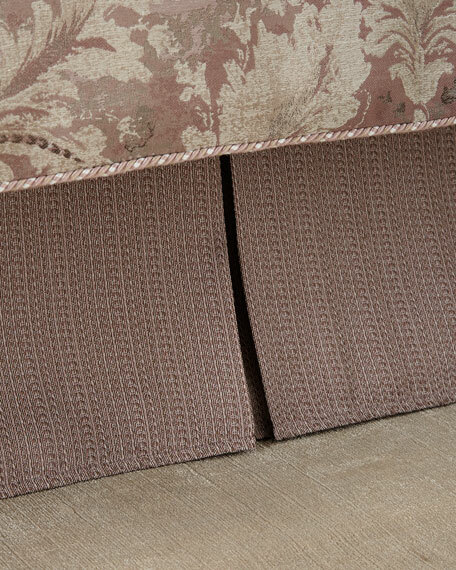 On the reverse, a subtle woven brushstroke design softens and complements the luxurious main pattern. 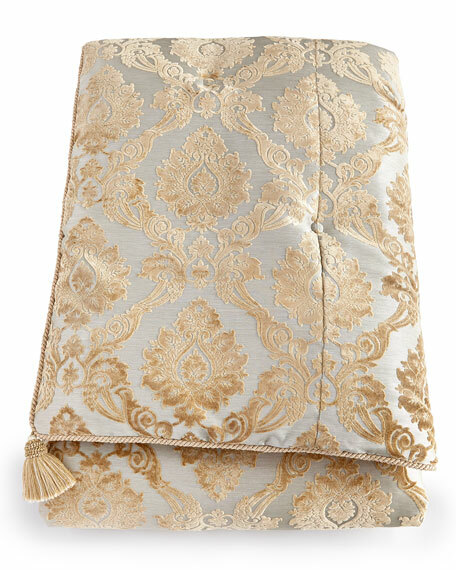 Set includes: comforter (110" x 96"), sham (20" x 36"), and dust skirt (78" x 80"; 18" drop). 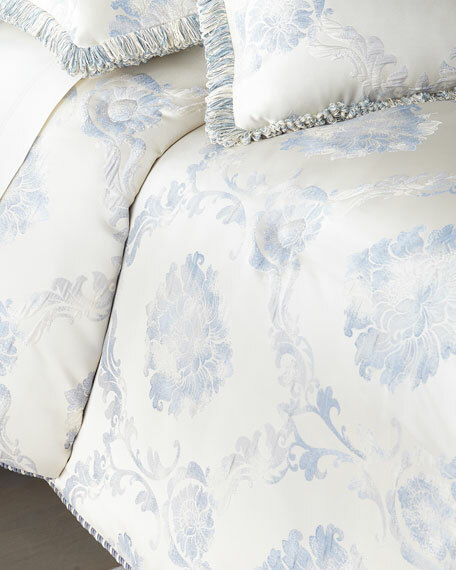 Set includes: comforter (92" x 96"), sham (20" x 26"), and dust skirt (60" x 80"; 18" drop). 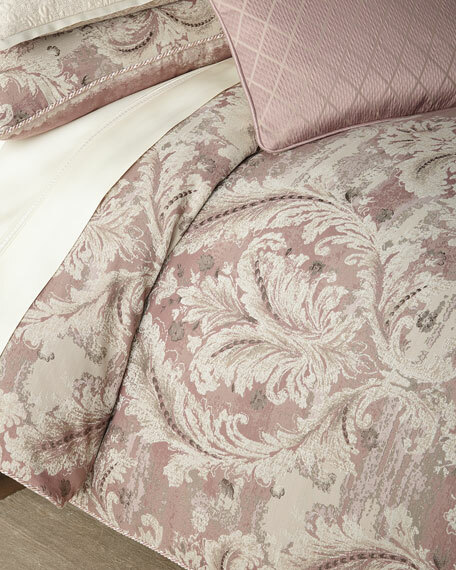 The Victoria euro sham uses a dimensional puckered fabric to create a beautiful, lustrous diamond design in shades of orchid and taupe, and reverses to a horizontal woven brushstroke pattern. 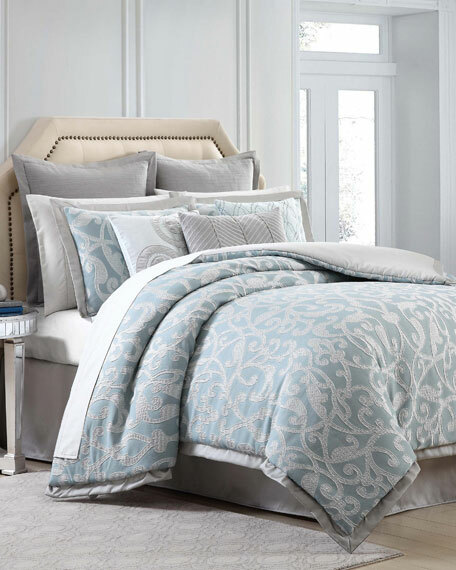 Diamond-pattern sham with cord edge. 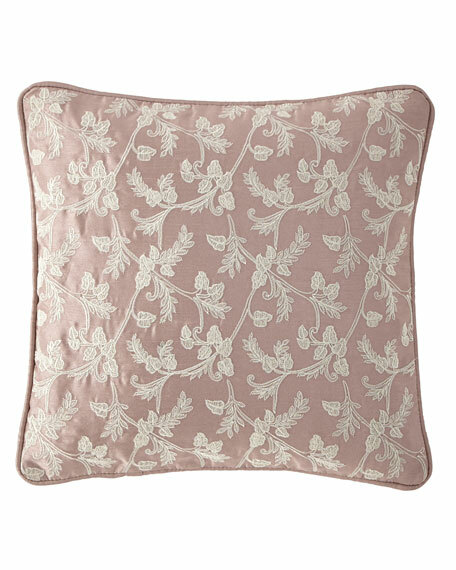 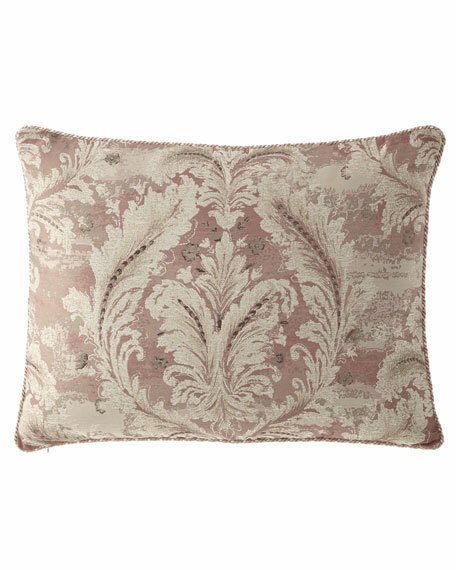 Waterford Victoria Orchid Decorative Pillow, 16" x 20"
This Victoria decorative pillow uses a dimensional puckered fabric to create a beautiful, lustrous diamond design in shades of orchid and taupe and reverses to a quilted diamond pattern. 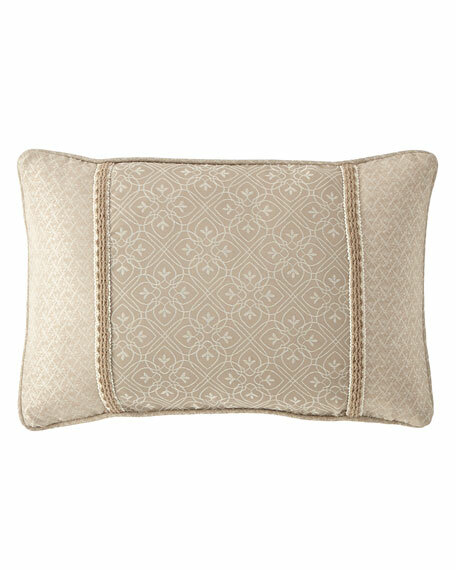 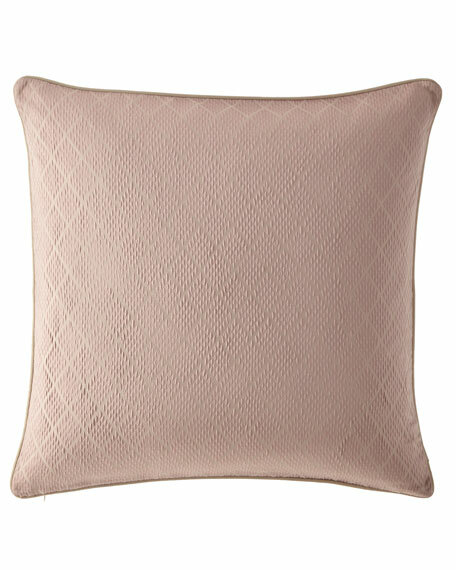 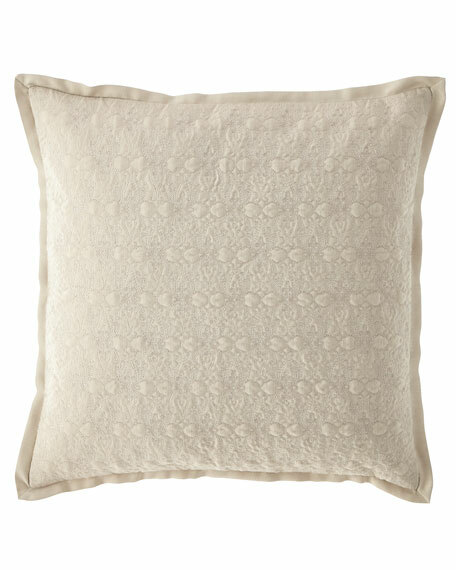 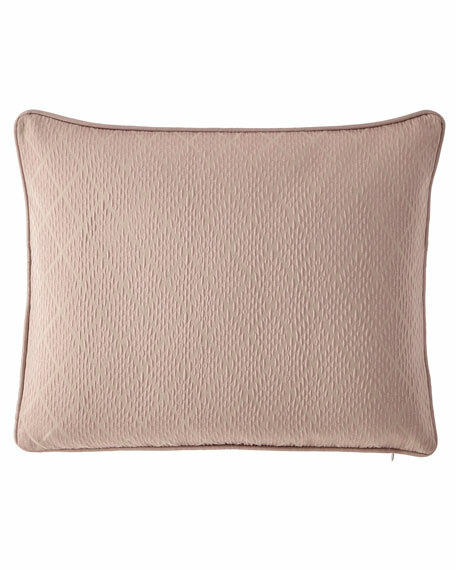 Diamond-pattern pillow with cord edge.